Wilhelm Wundt, one of the giants in psychology and was known as the father of experimental psychology. Wilhelm Wundt, one of the giants in psychology, was known as the father of experimental psychology, although Blumentha l credits him with a wider role in both experimental and human psychology, calling him the “founding father we never knew”. He founded the first experimental laboratory which greatly influenced the field of psychology, especially in the United States. In 1867, he taught the first course in physiological psychology and in 1873, published the first book on psychology, thus identifying psychology as its own branch of science, formulating its own questions and developing its unique methods. 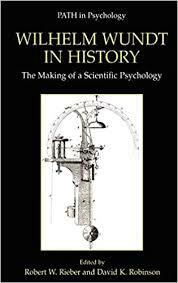 The first scientist in history to be called a “psychologist” and defined Structuralism as psychology’s first paradigm. Philosophy and its views, especially on the mind and the soul, have influenced psychology from its inception. Wundt’s physiological psychology has been of interest to both disciplines to this day. Disagreeing with those of his time who argued that the inner workings of the mind could not be exposed to study, Wundt used new methods in studying sensation and perception to determine what the human physiology, and so the mind, was about. His influential ten-volume Volkerpsychologie outlined his perspectivism as an alternative to experimental psychology. Wundt helped formulate the discipline of psychology that not only studied the behavior of the human, but gave psychologists the tools to help individuals develop their lives. Wilhelm Wundt (1832-1920) is a German psychologist, physiologist, and philosopher who is credited for being the founder of modern psychology. He was born in Neckaran, Baden to Maximilian and Marie Wundt. From 1851-1856, He attended the University of Tübingen, University of Heidelberg, and University of Berlin. He graduated from the University of Heideberg with a degree in medicine. He studied under Johannes Peter Müller. He then became the assistant to Herman von Helmholtz. In 1865, he wrote a textbook on physiology and a few years later he became a professor. In 1879, Wundt founded the first psychological lab, The Institute for Experimental Psychology at the University of Leipzig. Using this laboratory he was able to study religious beliefs, mental disorders, sensory processes, and human behavior. Many students came to the University to be in his class and learn in the lab setting. Students were encouraged to conduct experiments and publish their results. In 1881, he founded the first psychology journal. Wundt continued teaching while also focusing on writing. Wundt is credited with writing an estimated 53,000 pages. One of his most popular writings was Principles of Physiological Psychology, which he wrote in 1874. Wundt retired from teaching in 1917 and was replaced by one of his former students. He died in 1920 in Grossbothen at the age of 88. Edward Titchener Research Papers discuss Titchener's theories, which were based on the concept of the human mind and took after Wilhelm Wundt, who is referred to as the Father of Experimental Psychology. Human Psyche - The complete and total being of the conscious and subconscious human mind, otherwise known as the human psyche, has been dissected in detail and studied by many psychologists. Organizational Behavior - Organizational behavior is the study of how individuals behave within organizations and how organizations respond to that behavior. Substance Abuse and Mental Disorders Research Paper delves into the co- existence of mental illness and substance abuse and their statistics. Schizophrenic Disorders - Of the many categories of mental disorder recognized by psychologists and psychiatrists, schizophrenic disorders are perhaps the most potentially devastating. Schachter's Two Factor Theory of Emotion Research Papers examine an integral part of human behavior, and explain that human emotions are comprised of two fundamental parts. Supernatural Beliefs and Practices - Beliefs and practices all share one thing in common: the occurrences cannot be described by the traditional laws of the universe. Paper Masters writes custom research papers on Wilhelm Wundt and examine the life of one of the giants in psychology Wilhelm Wundt, who was also well known as the father of experimental psychology.